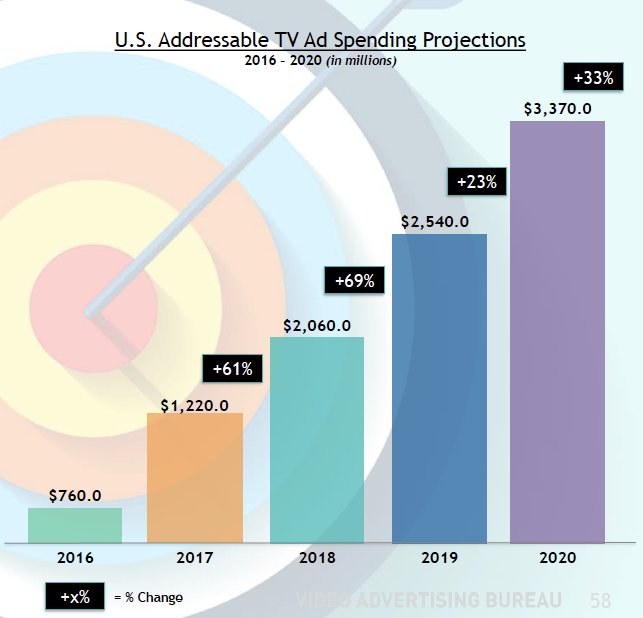 A new report projects that Addressable TV advertising will grow to $3.4B by 2020. This accounts for 54% of all U.S. TV households. 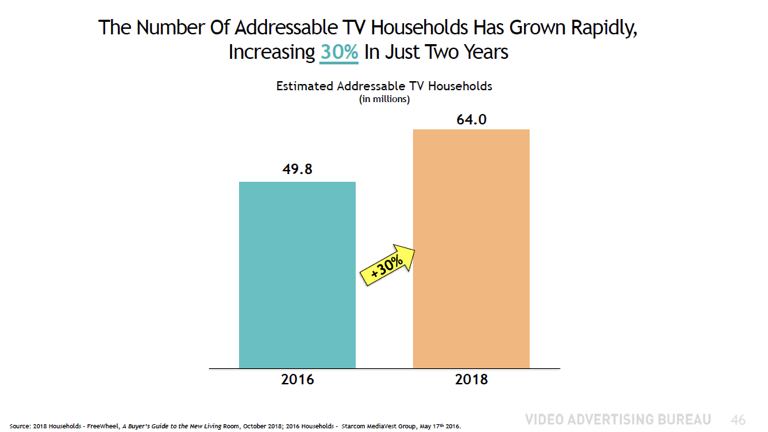 Challenges remain: The actual inventory that is available for addressable TV targeting is constrained to the 2 minutes per hour that the pay-TV provider can access. 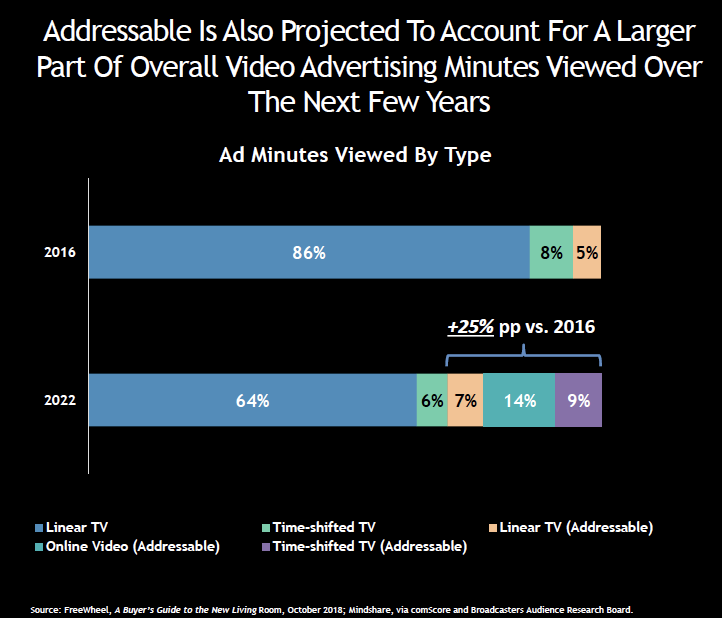 This is roughly 1/8 of the total ad minutes that addressable enabled households receive.